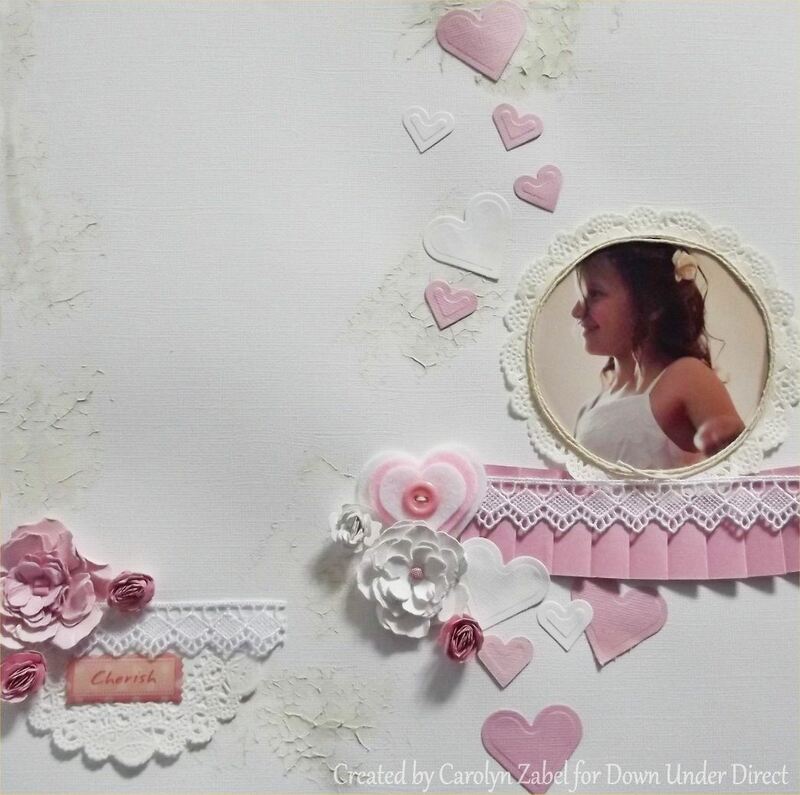 Today we have a layout from Carolyn. 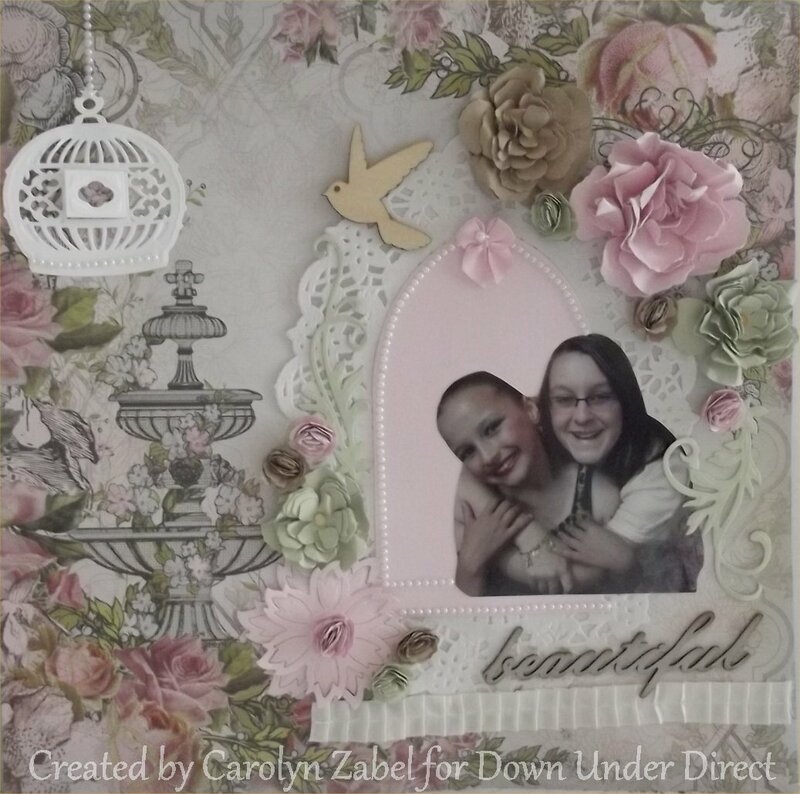 This is Carolyn's final Design Team project as she has decided to step down. 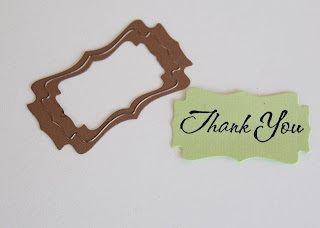 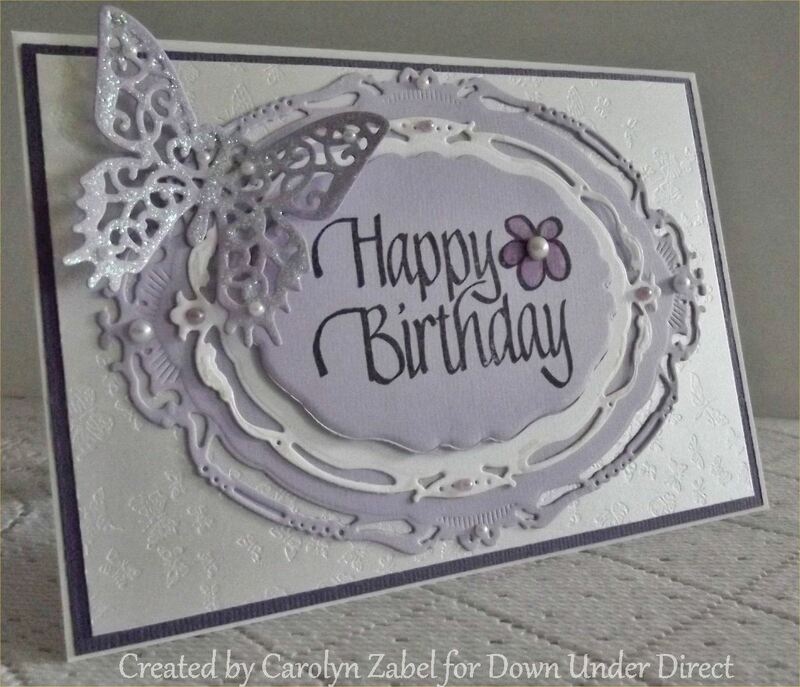 All the best Carolyn, thanks for sharing your projects with us over the past year. 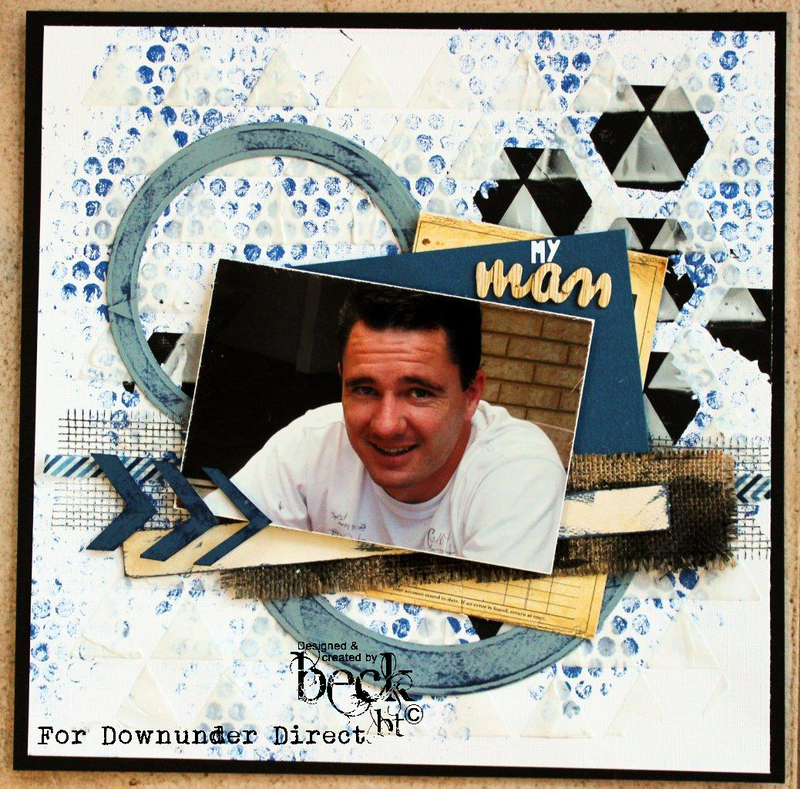 Today we have a pretty birthday card from Beck. 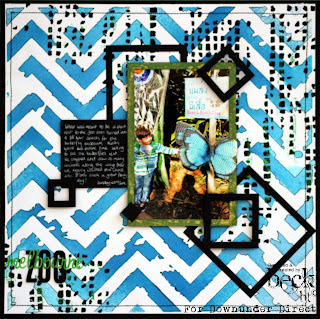 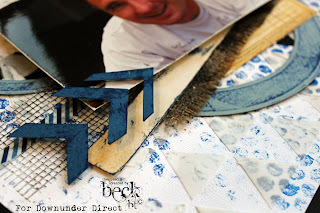 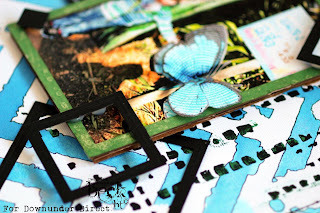 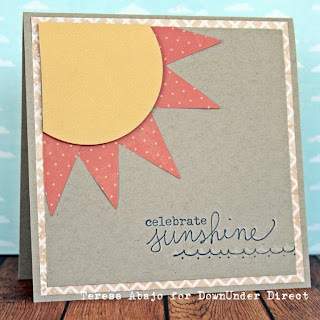 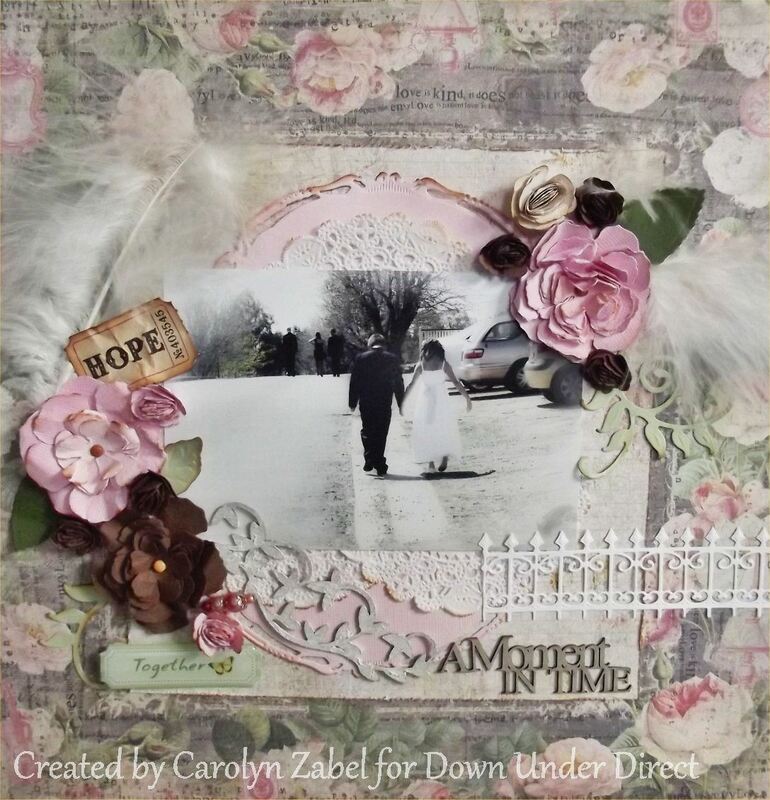 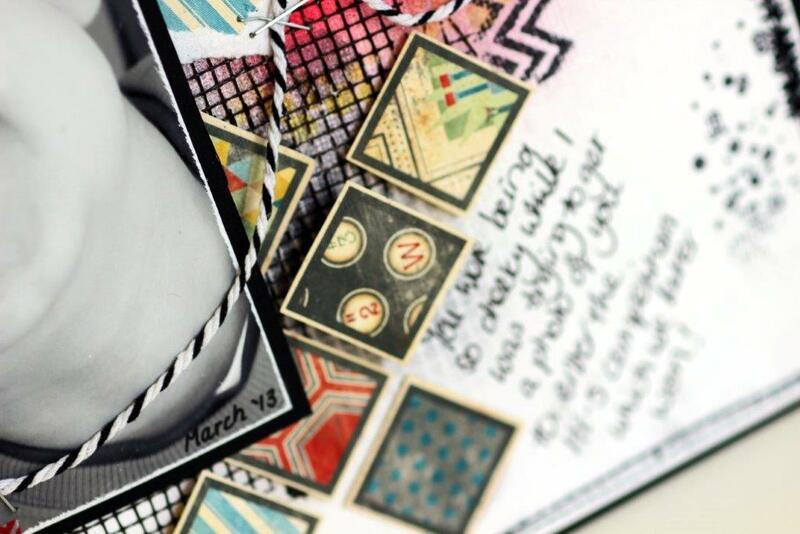 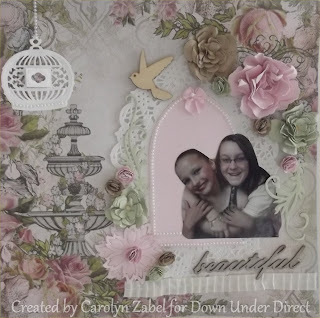 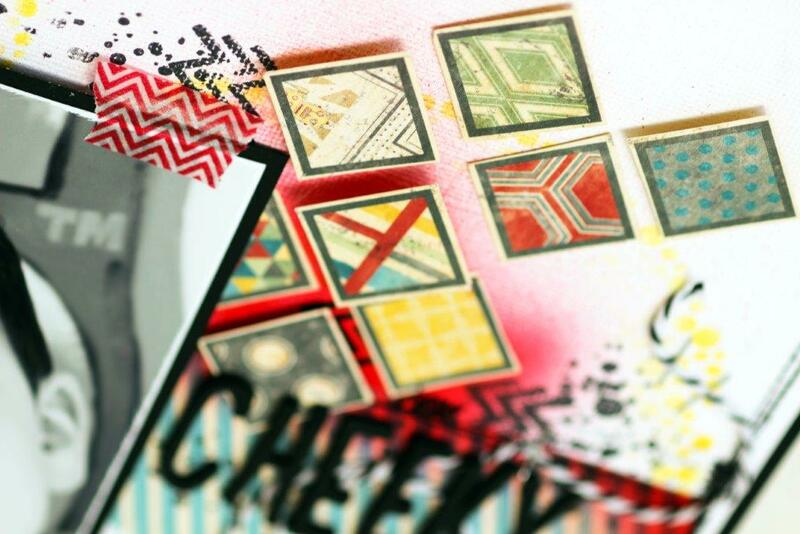 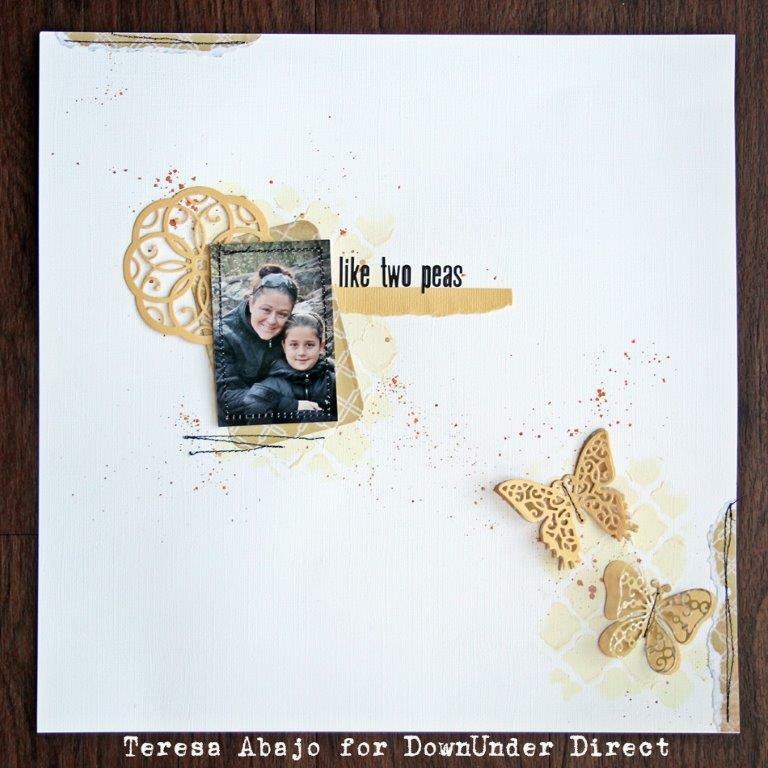 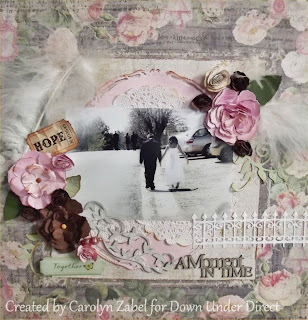 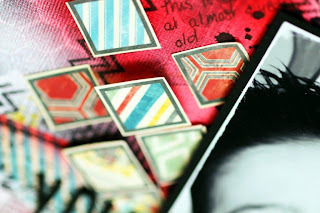 Today we have two pretty layouts from Carolyn to share. 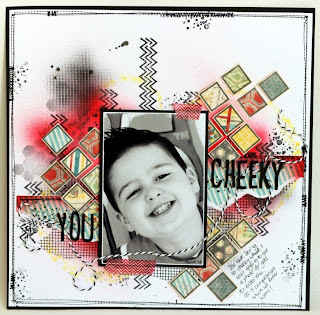 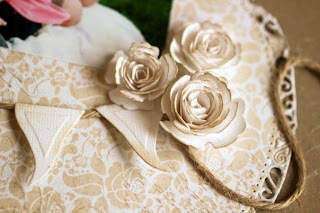 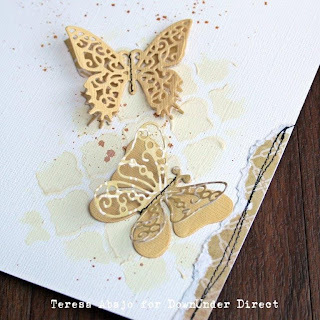 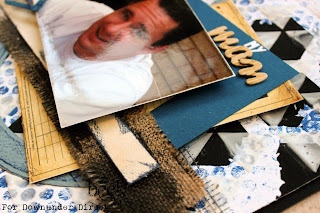 Who needs patterned paper when you have a stencil, sprays and texture paste? 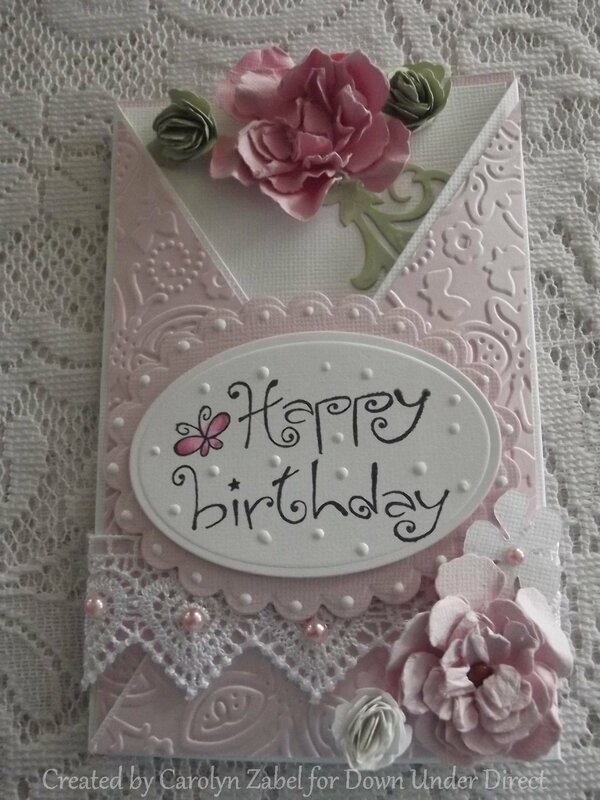 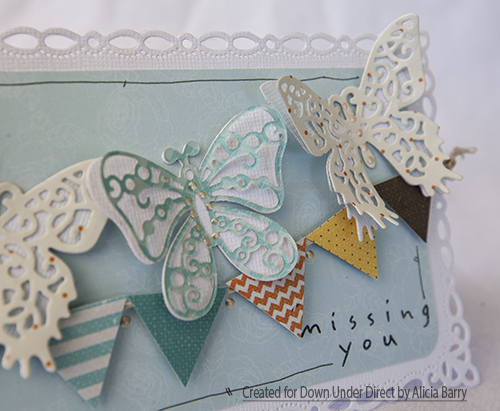 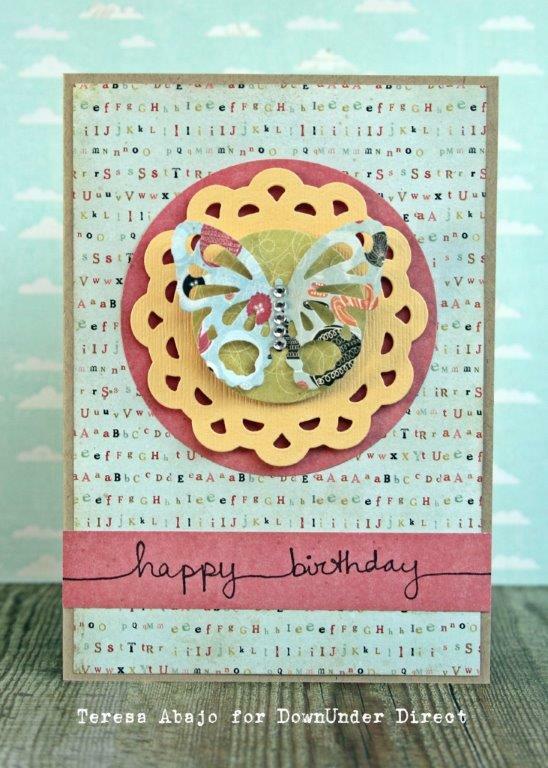 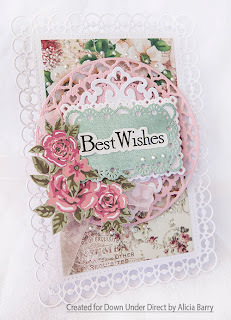 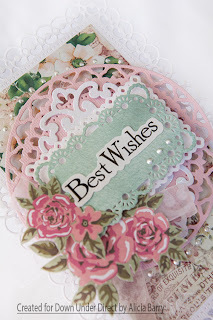 Today we have a very pretty card from Alicia to share with you. 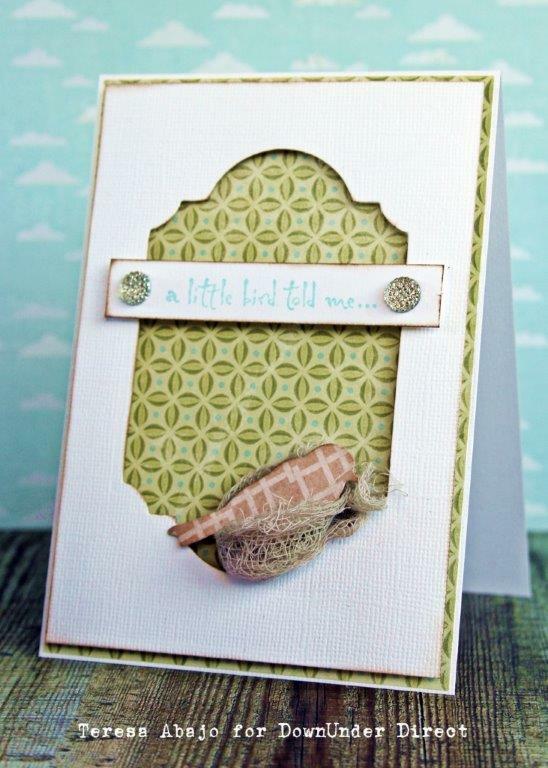 A simple, bold, geometric design can pack a lot of punch when it comes to brightening someone's day. 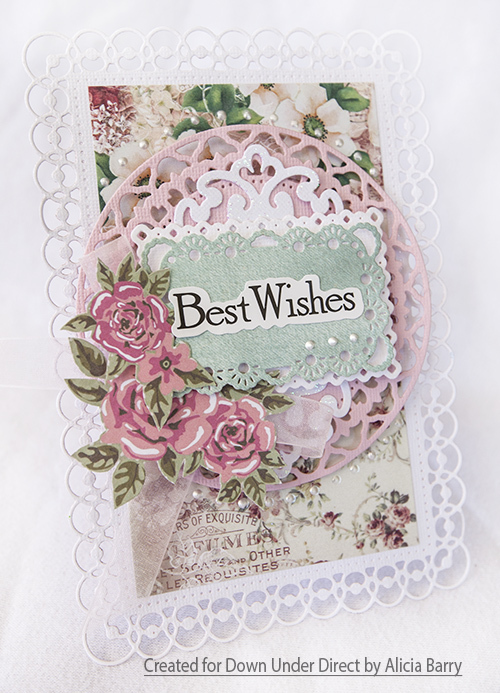 Today we have a pretty floral card from Alicia. 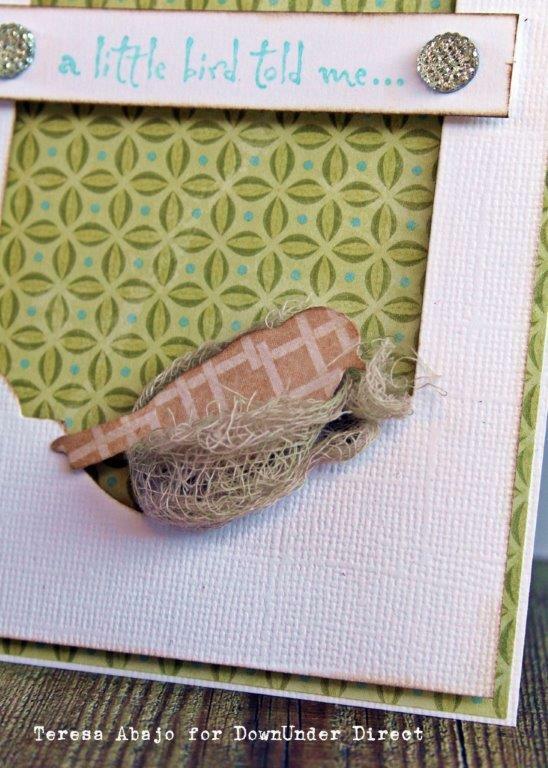 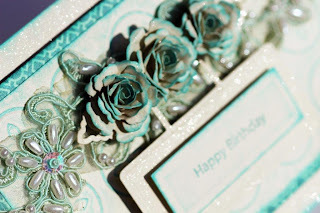 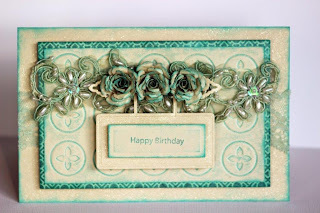 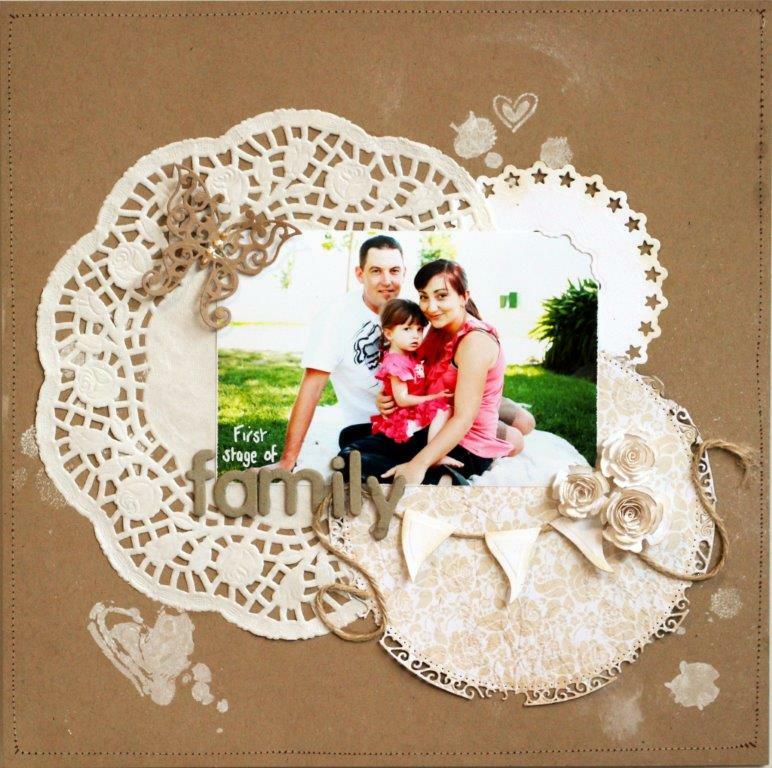 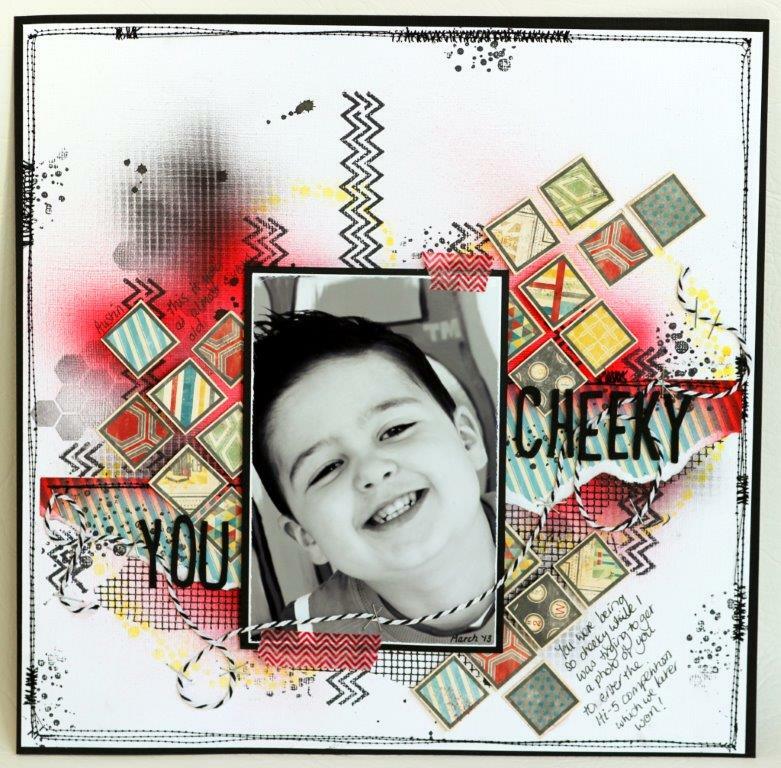 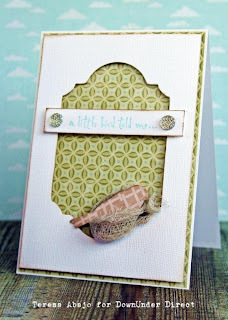 The background on this layout is created using simply bubble wrap… such a versatile around the house item! 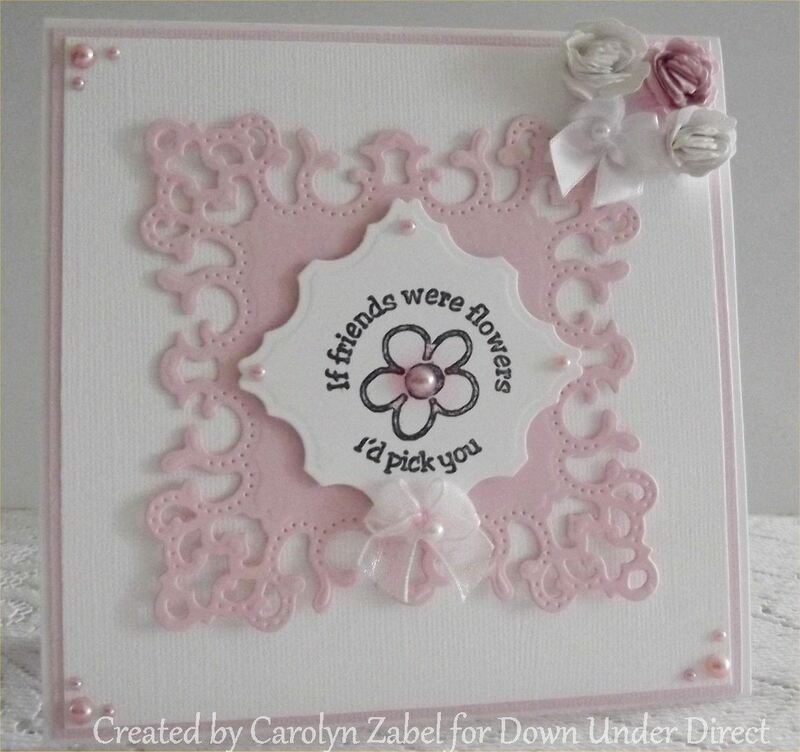 Today we have a pretty friendship card to share with you. 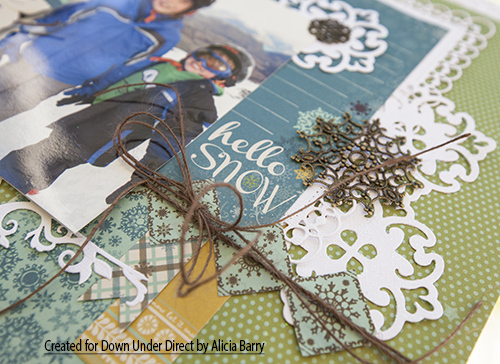 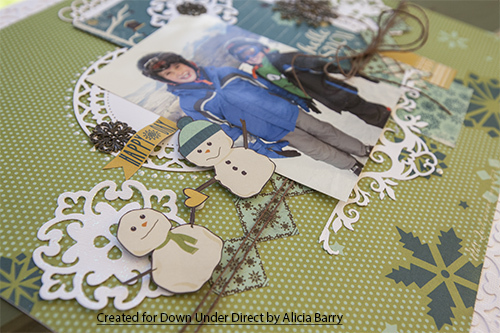 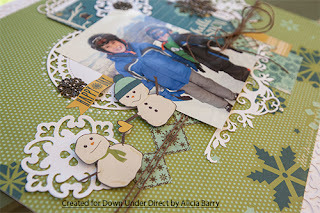 Here is a fun winter layout from Alicia. 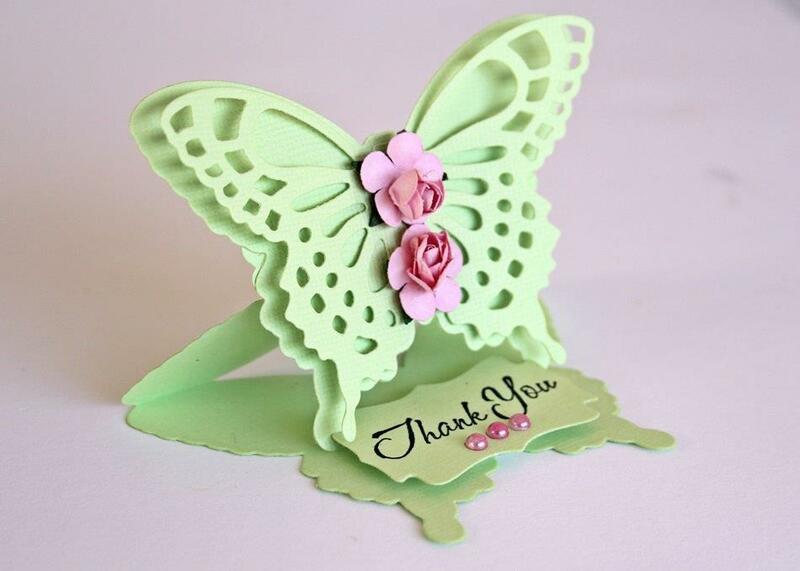 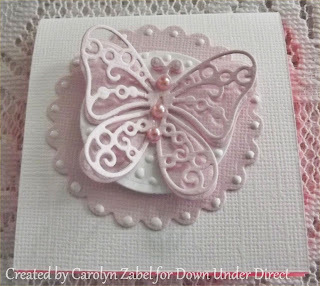 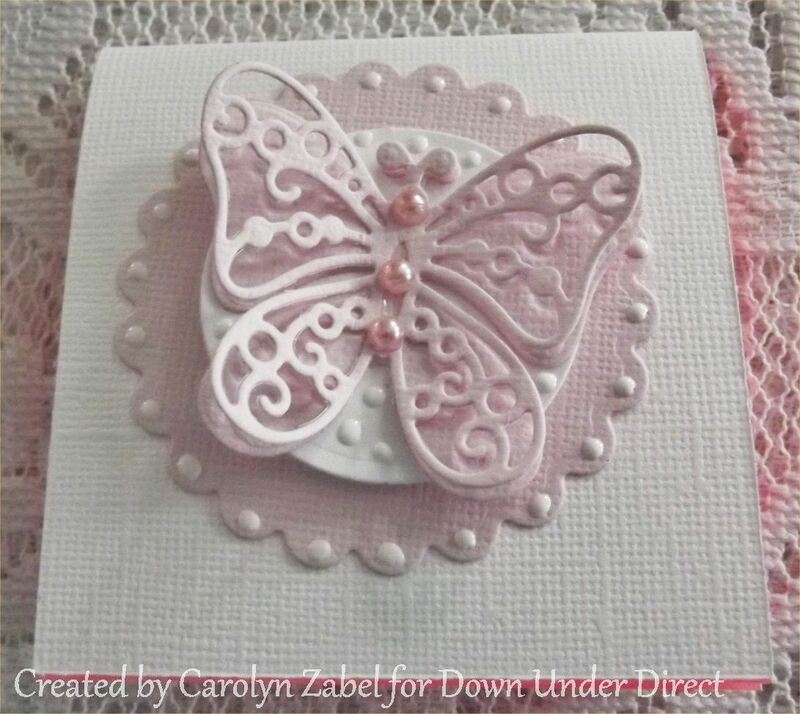 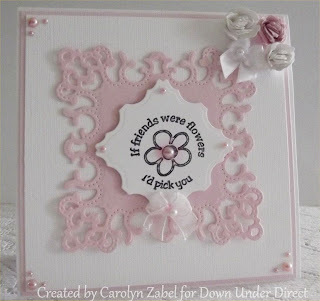 Here is a pretty little card from Carolyn. 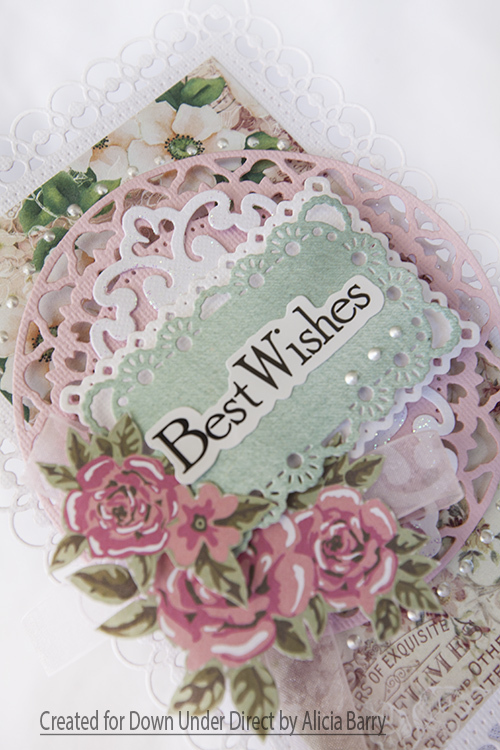 The opulent ovals are such an elegant die they really do not need a lot of dressing up. 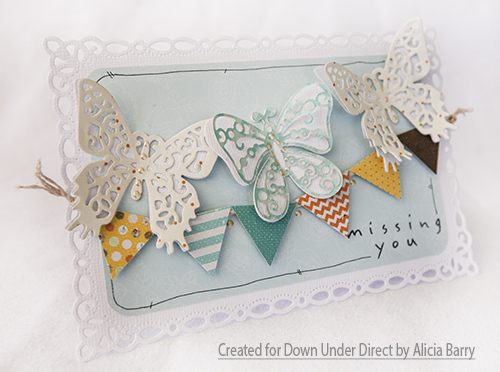 White and Kraft create a lovely soft feel to a bright coloured photo. 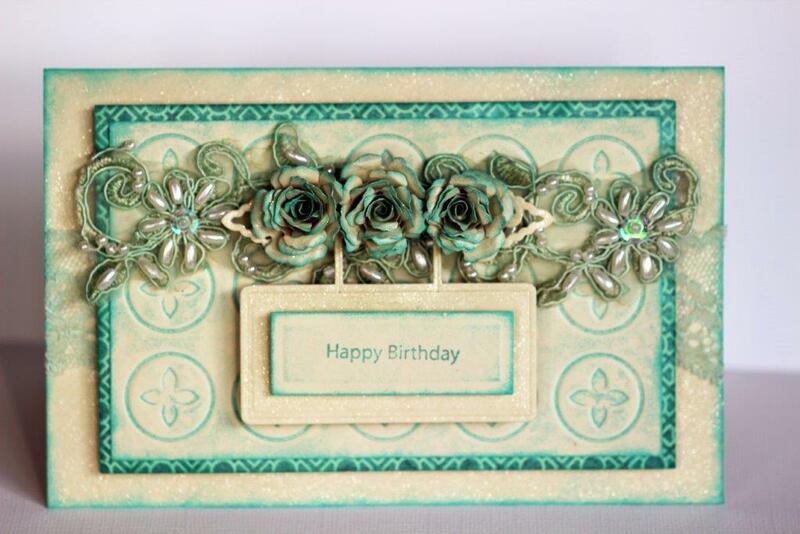 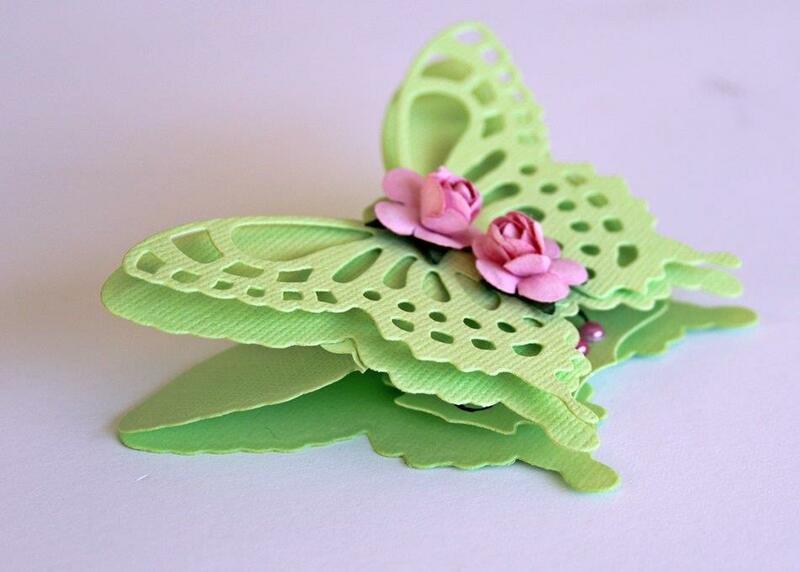 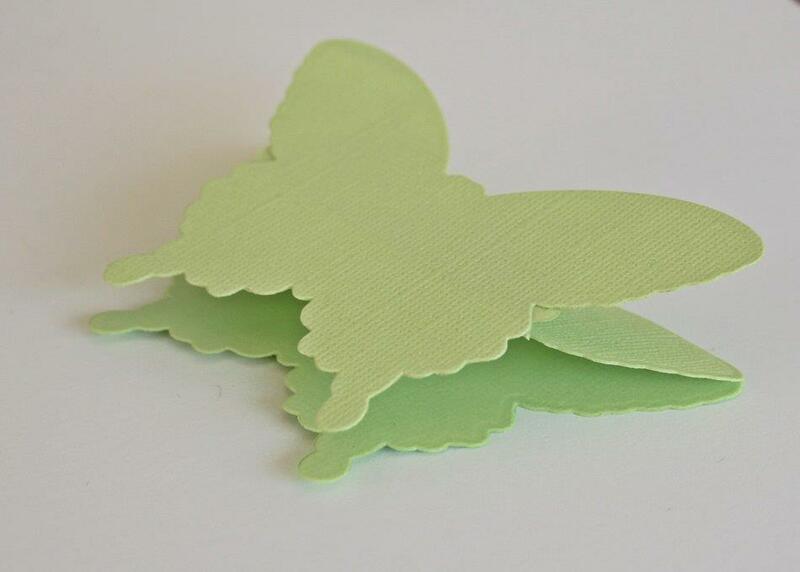 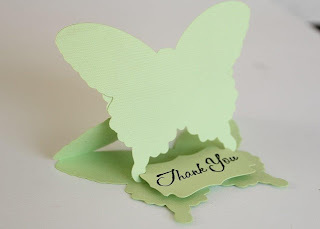 An unusual colour combination - lime green, aqua and burnt orange made all the brighter on crisp white Bazzill cardstock. 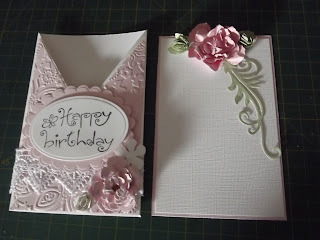 Choose coordinating papers I used just 2 different colours of Bazzill but you can use whatever you like. 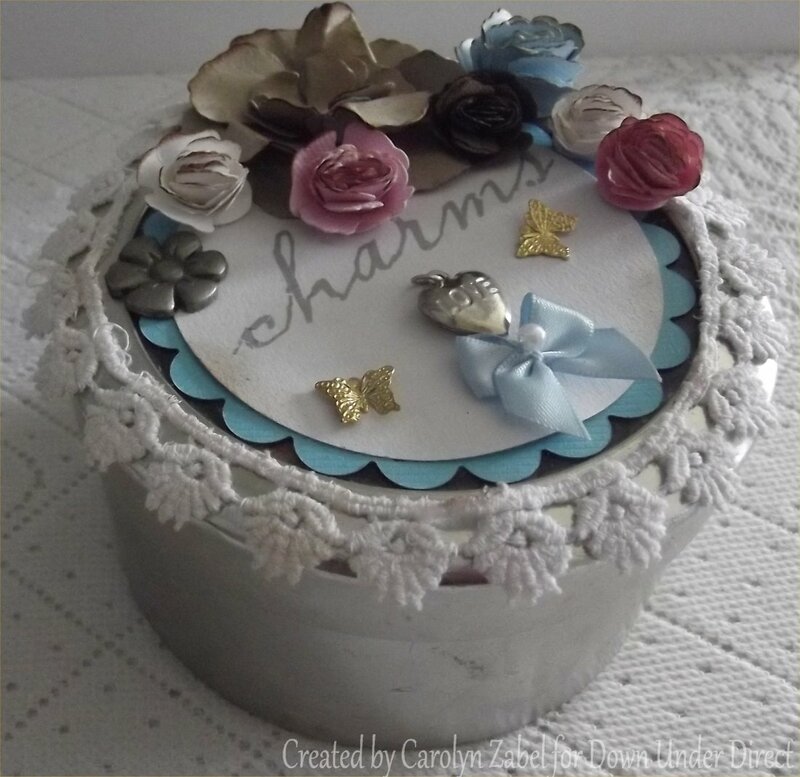 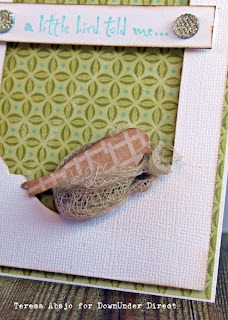 Using your first piece which needs to be 12x12 which we will make the card out of. 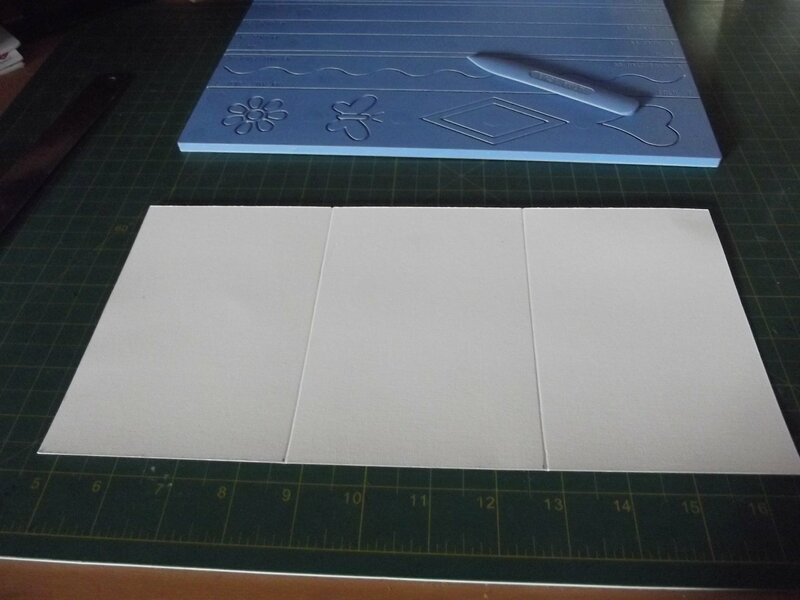 Cut it in half leaving you with a piece 12” long and 6”high. 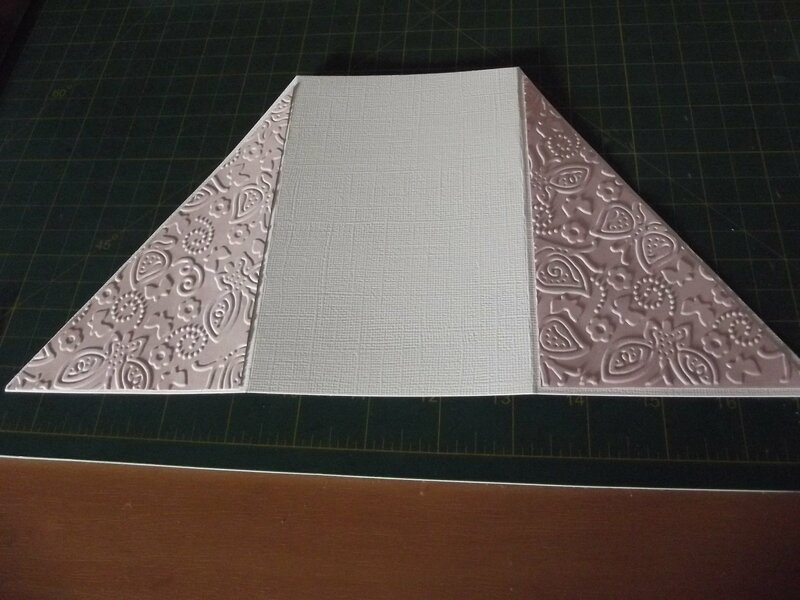 Score the base piece so that you have three equal sections. Cut the two outside sections on the diagonal as pictured. 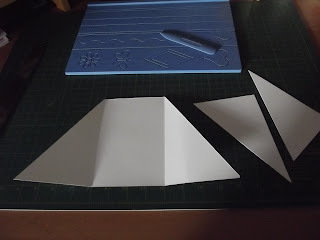 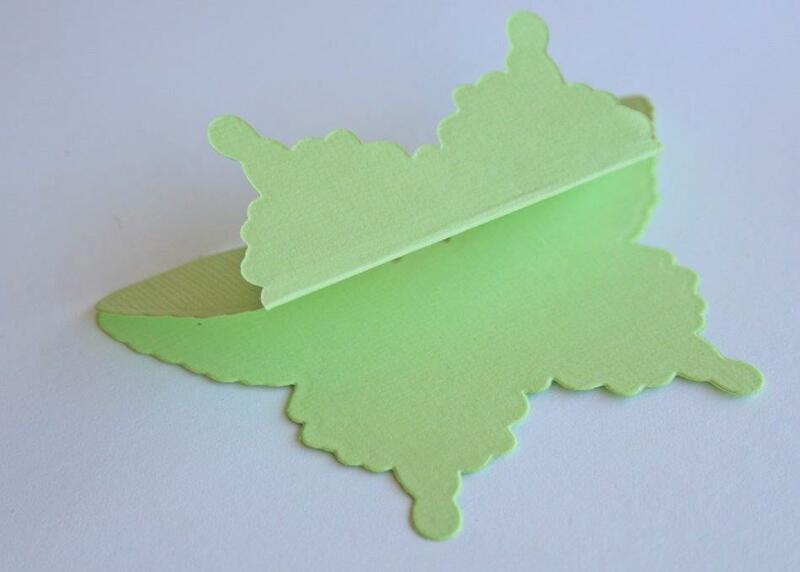 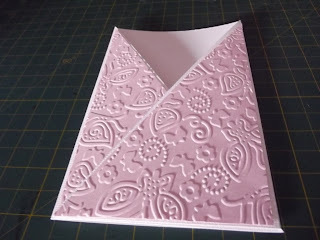 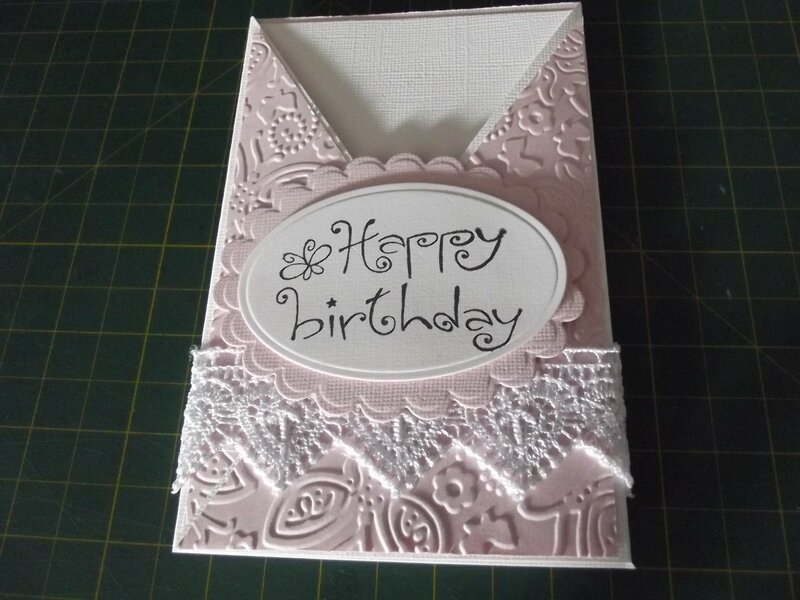 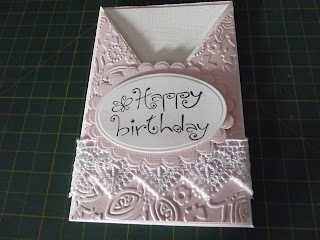 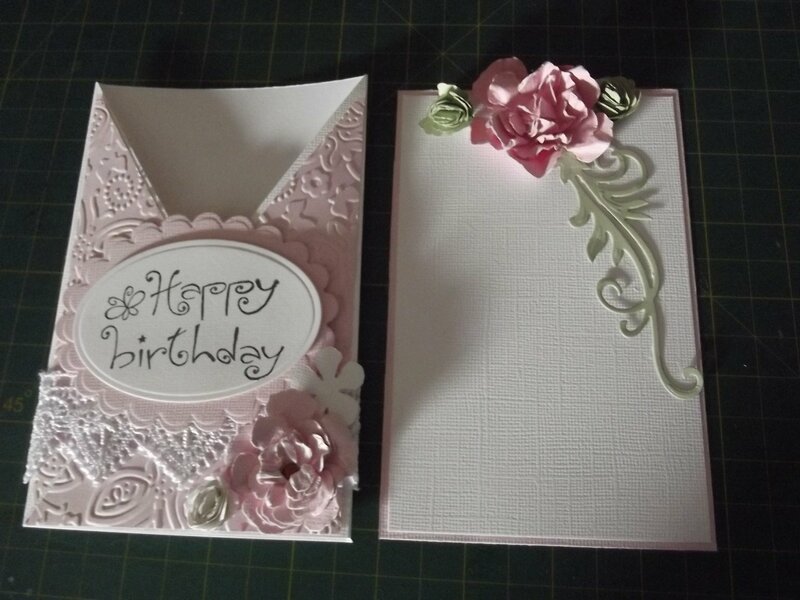 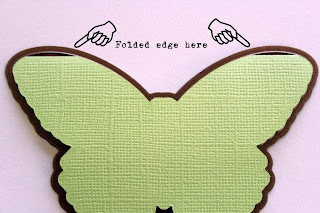 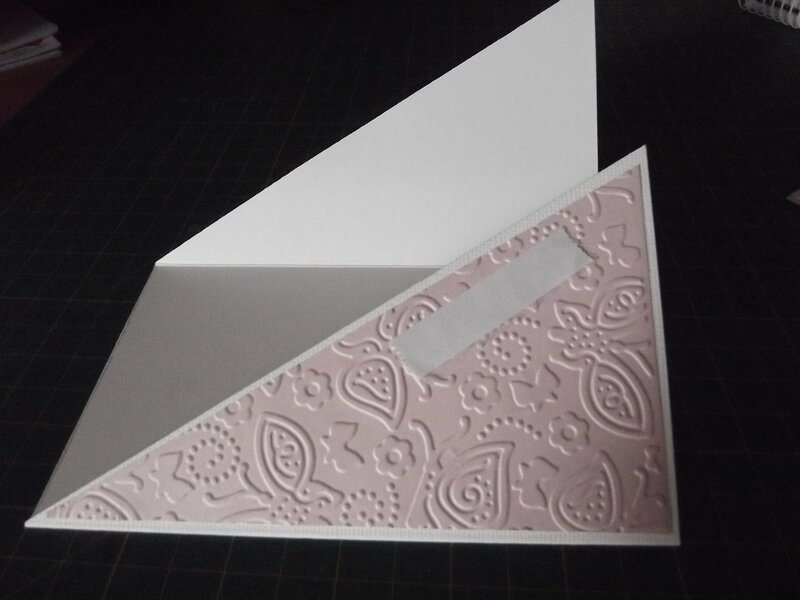 Cut and emboss two triangles in another colour of Bazzill and adhere to the card base as pictured. 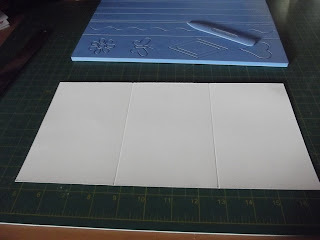 Make an insert and decorate as desired. I love recycling used containers to fit with my craft area and to be able to use them as storage is a bonus.